Do you enjoy visiting small towns? What about towns tucked away and hidden in an obscure place most people wouldn't notice? Some of my favorite towns to visit are the small, out-of-the-way, historical ones. I always find myself asking questions like, "Why was this town established?" "What caused people to settle here?" And if it's something of a ghost town, I then wonder, "Why did people move away?" Most of the time these questions pop into my mind as I'm driving through somewhere, and I don't really think about them again. But a writer's brain can be a bit of a scary place, and sometimes I find my imagination running away from me. That's how I ended up with the Eagle Harbor Series. 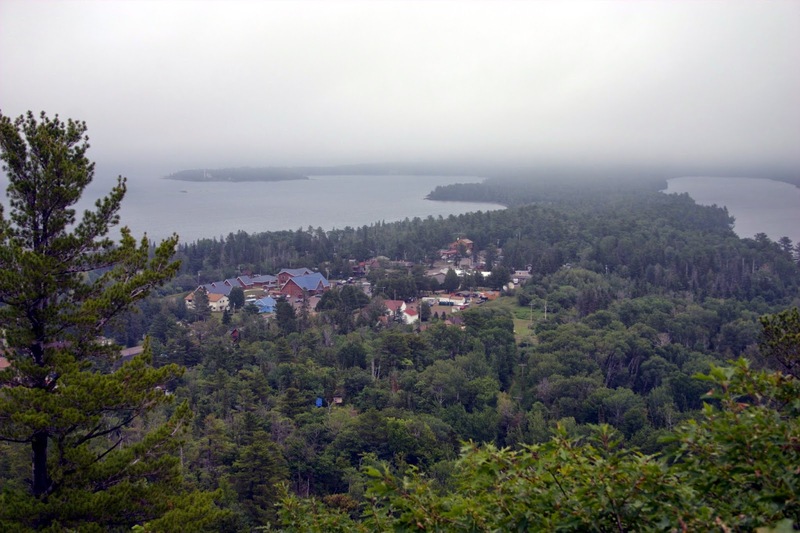 Eagle Harbor, Michigan is located on the northernmost tip of Michigan's Keweenaw Peninsula. It sticks up into the wild, cold, and often-dangerous waters of Lake Superior, which in turn makes it prone to violent storms. Driving through the town today will only take you a handful of minutes. 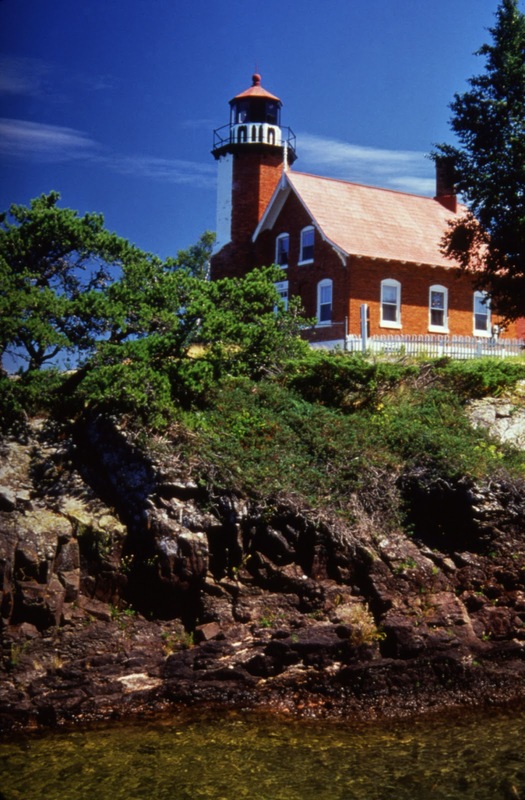 You'll pass several blocks of houses, a restaurant, hotel, and active lighthouse before proceeding up the Lake Superior coast to the next small town. While it's a beautiful place to live, there's absolutely nothing around it. So when I visited the town for the first time (probably about 5 years ago now), I found myself asking what prompted people to live there? Why would a town form way up north in the middle of nowhere on a forgotten stretch of shoreline? The answer is the shipping industry. With all the trucks, railroads, and cargo planes we're surrounded with today, it's easy to forget that transporting freight used to be done solely by ships, and then by a combination of ships and rail. For a town like Eagle Harbor, which gets over 200 inches of snow per winter, running a rail line all the way up to the norther tip of the continental U.S. wasn't very practical, nor was keeping the rail clear of snow in the winter. However, the richest copper deposit in the United States runs just a few miles inland from Eagle Harbor. With it's natural bay that offers protection from Lake Superior, Eagle Harbor developed into a busy but small shipping town in the 1840s. The town saw a lot of people move through it's port, but most of them didn't stay. They were headed inland to work the mines. 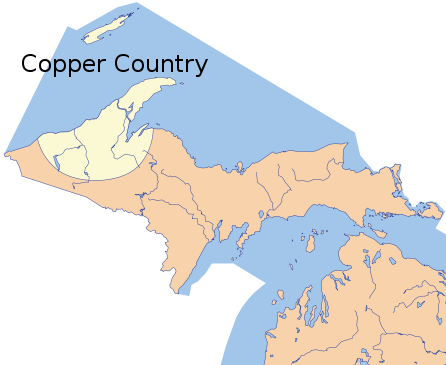 As the copper mines along the Keweenaw Fault continued to produce and the mining towns grew bigger, there was more and more copper to ship out if this isolated area, as well as a growing demand for food and supplies to be shipped in to the mining towns. Several natural harbors along the Keweenaw Peninsula soon grew into small but busy shipping towns, one of which was Eagle Harbor. So I endeavored to write about a town where everyone knows everyone else, where the mistakes you made 10 or 20 years ago are never quite forgotten, but neither are the good deeds you do. And of course, with the importance of shipping, I simply had to make the first book in the series about the very real, very historic Eagle Harbor Lighthouse and a lightkeeper. It's been a fun series for me because of the little parts of history I've gotten to bring to life. I hope some of you will enjoy reading about it. What about you? Do you enjoy visiting historical small towns? Do you enjoy novels based on real places that you can visit today? Or do you prefer a completely fictional setting? Tressa Danell is finished with men—from the wastrel who left her a widow, to the smelly trapper who keeps proposing, to the banker who wants to repossess her bakery. Every hour is spent working to payoff her late husband’s debt and keep a roof over her son’s head, though it’s doubtful she can do both for very long. But one thing’s certain—she’ll never be beholden to a man again. But when Tressa’s burdens overwhelm her, they both face a decision. Can Mac set his own plans aside to help? And can Tressa accept his support if that means giving up her independence ... and being obligated to a man again? View Love's Unfading Light on Amazon. 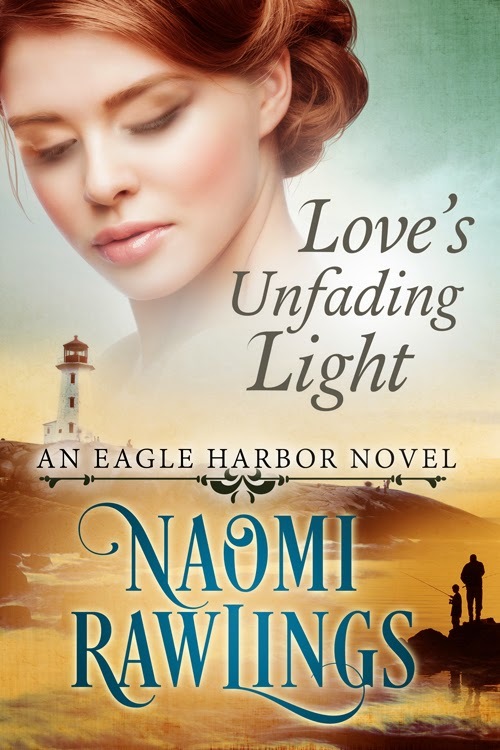 For more information about Naomi Rawlings and her Eagle Harbor Series, visit www.naomirawlings.com. Naomi, I thoroughly enjoyed reading about Eagle Harbor. I know the area, being a lifelong resident of Michigan. I've most likely been there at some point in my life. I am planning to pick up this series as I'm crazy about books based in Michigan. If I never had anything else to read for the rest of my life I'd be content with books based right here at home. As a side note, I'm praying for you every day. God bless you, Michigan sister! Thanks Nancy! And I know what you mean about being crazy about all things Michigan. I've only lived out of Michigan for two years after I was married--and I was 10 minutes away from the Michigan state line, living in Indiana. :-) I hope you enjoy the series and get to visit the town. It's up near Copper Harbor.